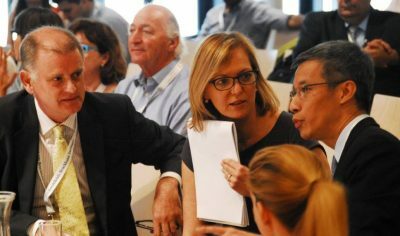 I will not be exaggerating in saying that IBA-VIAC CDRC Vienna is one of the most vibrant, exciting and unique mediation and negotiation competitions out there. This is an event where learning, practicing skills and having fun takes place all at the same time. Upon entering this wonderful competition, you become part of a big and loving mediation family. 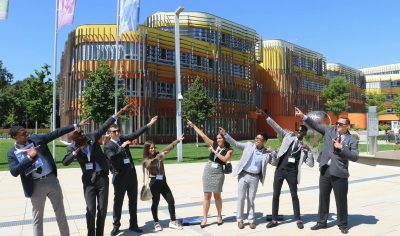 That is why I feel proud and lucky to have participated in the 3rd edition of CDRC Vienna as a mediator representing New Vision University. If you are competing as a negotiator, you will probably find plenty of resources on negotiation skills, techniques and advice. However, not so much readily available resources can be found for mediators. With the 5th edition of CDRC on the horizon, I will try to share some tips from my own experience that have helped me prepare for the competition as a mediator, hoping that other student mediators find this information useful as well. First and foremost, in order to conduct a successful and productive mediation session, it is crucial that you thoroughly understand your role as a mediator. CDRC is based on a facilitative mediation approach. This means that your role is to assist the parties to arrive at their own conclusions, to guide the process and to help them engage in a productive and open conversation by using various mediation techniques. It is not your job to find solutions or impose your decisions on them. Always keep in mind that you are NOT a judge or an arbitrator! It is common and natural to struggle with that in your early preparations. I know, I did. When you prepare for the competition and read the case hundreds of times, you may inadvertently find yourself sympathizing one party or the other. It may be especially hard if you have participated in the same year’s vis moot competition. Having spent months preparing and pleading the arguments from the parties’ points of view, makes it tougher to completely deplete yourself from any unconscious biases or preconceived notions. But it is not impossible, it just takes mindful practice. Set aside some time to mentally prepare yourself for the task you are up to. If you feel the urge to form your opinions, suggest your own ideas in terms of the merits of the case, or lead one party or the other to a certain outcome – mindfulness is the key. What I would do is take a moment to acknowledge what was happening, then bring my focus back to the parties and what they were saying. During my practice sessions, I would often get caught up in my thoughts, trying to find the perfect and fair solution for both parties. I would get anxious trying to push the parties to the same conclusion which I honestly believed was for everyone’s benefit. The trick that worked for me in this case, was remembering that it is actually their problem, not mine. After all, the pressure to solve the dispute lies with them, not you. So, give yourself a break and relax a little! Finally, while it is important that you understand your own role, it is equally crucial to let the parties know why you are there and what you are going to do. An opening statement is a powerful tool which sets the tone for the entire session. You as a mediator have the opportunity to kick off the process. The first words that you say will create the energy and the atmosphere for everyone in the room. There are many important points that need to be covered and delivered to the parties, but you have to be careful not to overdo it either – you do not want to bore the participants. One of the several essential points that I think are absolutely must-include in the opening statement is the introduction of the mediator’s role, as we mentioned earlier, and of the process itself. In real life, parties may have never attended mediation before or they may have completely different ideas of what it means. Outlining briefly how the process works and what to expect from the session can be very helpful – that way, you can make sure that everyone is on the same page. Another vital component is the voluntariness and the confidentiality of the process. Do not assume that these points are obvious and hence, unworthy of mentioning. Even if the parties are well aware of these elements, hearing about them from the mediator provides reassurance, puts them at ease and encourages them to be more engaged and active. You may also want to shortly touch upon the functions of the counsel in the mediation process and point out smoothly that this is a client-driven process versus the legal battle led by lawyers. Also, remind the parties that observing certain rules such as letting each other speak is important for the sake of a fruitful mediation process. Reassure them that everyone will have the opportunity to express themselves. In the end, check if they have understood everything and encourage them to be open and ask questions at any time if anything is unclear. Be genuinely interested in what the parties have to say and ask questions only if you mean to ask them. The golden advice I got from my coaches was to ask myself first why I wanted to make a certain comment or ask a certain question. Do you need to clarify something? Do you need to gain more information? Do you need to rephrase the statement and defuse the tension? Answering these will help you formulate the right sentences. This is important because aimless questions or comments may actually be destructive and ruin the flow of the conversation. Learn to trust yourself and your instincts. Over the time, your mind and intuition will guide you when to get involved with an open-ended question, when to reflect and summarise or when it’s best to simply let the parties steer the wheel for a little while. Following the process closely and using your active listening skills will take you far. Make sure to acknowledge whenever someone says something before you respond or revert to them with any statements. This serves several purposes. First, you are letting the speaker know that you heard them; Then, it’s a chance for you to double check whether you understood them correctly or not. If you got something wrong, the person will promptly correct you. And finally, it is a way of providing the same information to the other party across the table in a safe and neutral manner. Be honest and confident. Remember that the negotiators in front of you are also competing in the competition. This may be challenging for all of you. Do not be intimidated if they try to rush through the process so as to check the boxes on their own agendas and get to the agreement part. The well-conducted process matters more than reaching the final agreement. So, if you get confused with the facts or the information flow across the table, or if you feel that some aspects need to be better explored, don’t be afraid to ask them to pause for a second so you can make sure that everyone, including yourself, is on the same page. This will be useful for you as well as the parties to better comprehend the whereabouts of the process. Practice mediation techniques in real life, with your family members and/or your friends. You will be surprised how often one simple question may divert the course of the discussion. I tried that with my two younger sisters quite often. When you see the real-life impact of mediation, you become more motivated and excited to keep practicing. Constantly seek feedback from your coaches and teammates. Record videos of yourself and thoroughly discuss together your speech, body language, eye contact, etc. All of us have blind spots and sometimes we need others to point our mistakes out. Preparation takes individual as well as team work. Use Mediator Academy to enhance your mediation skills. It is a wonderful source of valuable educational videos and interviews with the world-renowned mediators. Listening to the interviews helped me find answers to some questions. It also helped boost my motivation and put my mind in the default mediation mode. Remember, you are the host, and you create the atmosphere. Your job as a mediator starts from the moment you enter the competition room. Usually, mediators get to go in the room several minutes earlier. This is your time to settle in, prepare the room and the surroundings as you think fit and appropriate. Refresh the room, prepare the board, pour water for the participants, greet them as they walk in and make them feel welcome. Finally, bulletproof advice: have fun and enjoy Vienna! Mariam Malidze has recently graduated from New Vision University earning her master’s degree in Comparative Private and International Law. She represented New Vision University in the 3rd CDRC Competition in 2017 where the team received a special award for mediators – Most Effective Opening Statement. She has also participated in the 24th Vis Moot competition and the 13th ICC mediation competition. 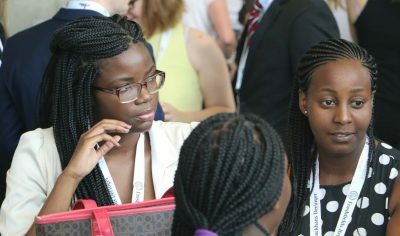 Mariam served as a Young Global Ambassador for CDRC Vienna and returned as a volunteer to the 4th edition of CDRC in 2018. 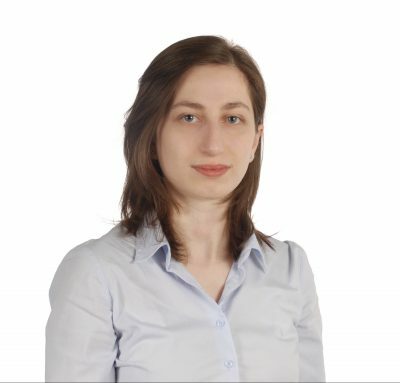 In addition, Mariam is an active member of Georgian NGO “Arbitration Initiative Georgia” and organizes Tbilisi Vis Pre-Moot.